← Let It Be So! Everything that I knew about Mose Robinson came from Granddaddy, and Granddaddy didn’t have anything good to say about his daddy. Granddaddy described him as a very dark-skinned man who was an herb doctor. He often said that Mose Robinson would leave his mother to go get herbs, taking off on his horse, and it would take him years to return. Granddaddy talked about how his mother, Luvenia Poole, gave up everything to be with this black man. As a young child, I didn’t know what to think of what Granddaddy was saying. Granddaddy was apparently angry with his father, but why? Also, I couldn’t understand why it would take years to gather herbs. These were question that I would answer as a genetic genealogist. Based on Granddaddy’s description, my image of Mose Robinson was that of a very stern man who rode a horse and healed people with herbs. Then, the question came that changed my perspective of Mose and my family. This is the question that led me to be the genetic genealogist that I am today. The question was, “Do you know who your great grandmother was?” This question was posed to me and my first cousin, Lonnie, in our high school geometry class by our teacher, Coach W. Fair Anderson. She and I looked at each other in bewilderment. Lonnie was extremely shy around most people except for me, so I took the liberty of answering for both of us. “Yes”, I proudly said. “Her name was Luvenia Poole.” Granddaddy had told me this when I was a small child, and he expanded on this family history when I was ten. Then, Coach Anderson quipped, “Do you know that she was a white woman?” Again, I held up my head in a defiant manner as our other classmates looked shockingly on for a reply. “I believe that she was mixed, white and Native American.” “No, he shouted, she was a white woman! She wasn’t mixed with nothing but white”, he said. “Go home and ask your granddaddy.” I was confused, while the class was ecstatic that so much time had been taken on this subject. I was also shocked that he knew my granddaddy. The next day, Coach Anderson once again delayed class to find out what I had discovered and to add more to the saga. I told him that Granddaddy’s reply was that she had no “black” in her, but he thought she was mixed with something. After denying that she was mixed, Coach Anderson moved on to Mose Robinson. “She was married to your great granddaddy Mose Robinson. White folk didn’t like it when he came here with her, but they were afraid of him.” I inquired as to why they were afraid. He said, “Mose had a whip, and he knew how to use it. If anybody said anything to him about his wife, he would whip him to death! So, they stayed away from Mose unless they needed his healing”. I’m not sure what Coach Anderson’s intentions were by asking us that question. I’ve often wondered if this “white” woman was related to him. 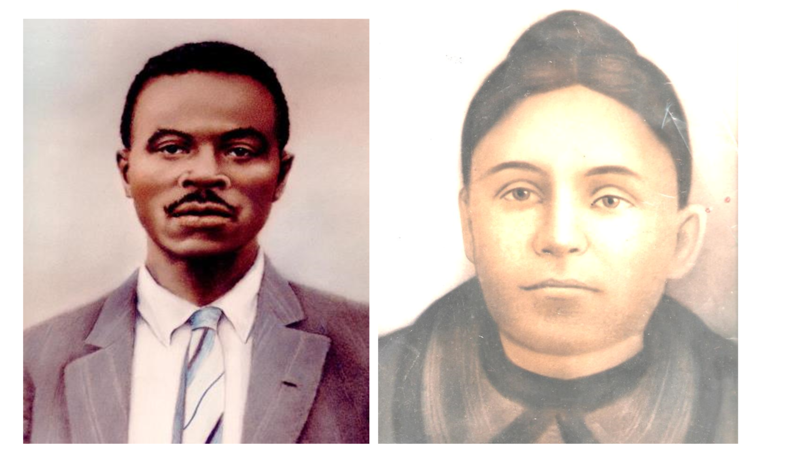 Why was he so knowledgeable about her, and why was he so passionate when he described my great grandparents? How did he know Granddaddy? Whatever his intentions, he lit a fire in me to know more about these people. What happened in geometry spilled over into other classes. Biology, Latin, history, and my Old Testament Bible class became genetic genealogy preparation classes and launched my quest for family. Thank you for the encouragement, cousin.